While there has always been an anecdotal link between stress and chest pain, recent research confirms that such a connection is very real. 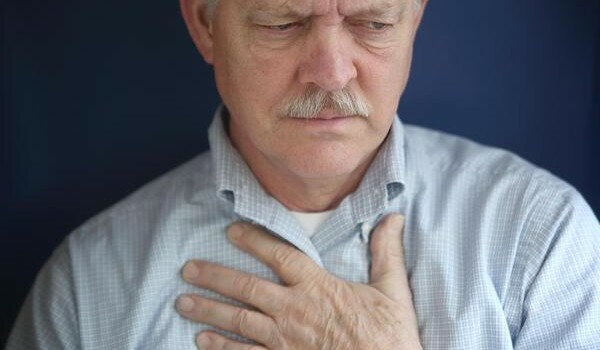 Recurrent chest pain can have a significant negative impact on an individual’s quality of life. Many sufferers report feeling anxious about the risk that it indicates a serious underlying condition. The symptoms of stress-related chest pain are quite varied. Some, however, are more common than others. Individuals often use words like ‘pressure’ and ‘cramp’ to describe the physical sensation they are experiencing. Some individuals report short, jabbing pains and a feeling of tightness radiating through the upper abdomen. Stress-related chest pain can affect people of any age, but the majority of sufferers are middle-aged. Chest pain brought about by stress affects both men and women in roughly equal number. What causes stress-related chest pain? Chest pain is one of the most common reasons given for visits to hospital emergency departments. A high number of these patients are discharged with a diagnosis of ‘unexplained chest pain’. In many of these cases, there is a close connection between stress and chest pain. A 2009 study at Sweden’s University of Gothenburg sought to explore the link between stress and chest pain. It found that both men and women with unexplained chest pain ‘perceived more stress at work, symptoms of depression and anxiety and had less social interaction’. Men suffering from stress at work were found to be almost four times more likely than average to report symptoms of chest pain. Women with similar symptoms were more likely than average to report stress at home or within a relationship. In both men and women, a sedentary lifestyle was found to increase significantly the risk of unexplained chest pain. A 1997 study at the Leiden University Medical Center in the Netherlands examined the effectiveness of Cognitive Behavioural Therapy (CBT) for the treatment of unexplained chest pain. It found that CBT significantly reduced the ‘intensity and duration’ of symptoms in those suffering from unexplained chest pain. CBT was also effective in reducing the negative beliefs that the individuals felt in relation to their symptoms. Relatively few other studies have been carried out into the use of specific treatments for stress-related chest pain. Given the link between high levels of stress and chest pain, treatments aimed at reducing general levels of stress could be beneficial. In particular, teaching oneself to relax through the use of Mindfulness or Meditation could help. Individuals reporting unexplained chest pain are more likely than their healthy peers to live an inactive lifestyle and have a high BMI. Taking regular exercise, therefore, could improve the symptoms of stress-related chest pain. Always consult your doctor or other qualified health professional if you have concerns about a medical condition, treatment or general wellbeing. You should not rely on this information, including any links it contains, as constituting medical advice. Please see our Disclaimer for more information.